< Prev Post What Does the Recent STAR TREK: DISCOVERY Shake-Up Mean for the Show’s Future? 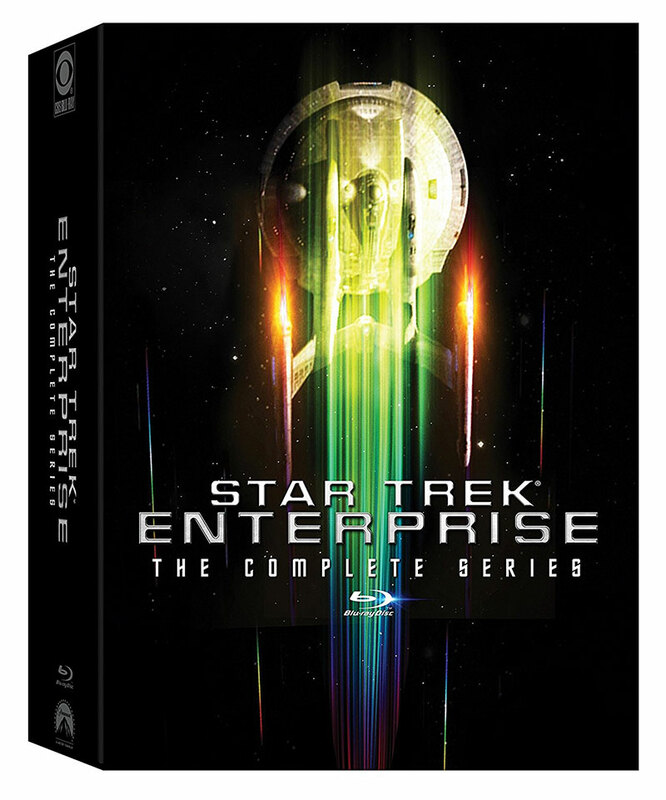 CBS Home Entertainment has announced the upcoming release of Star Trek: Enterprise: The Complete Series on Blu-ray. Previously only available as single-season sets in the United States, the Complete Series will be available on January 10, 2017. 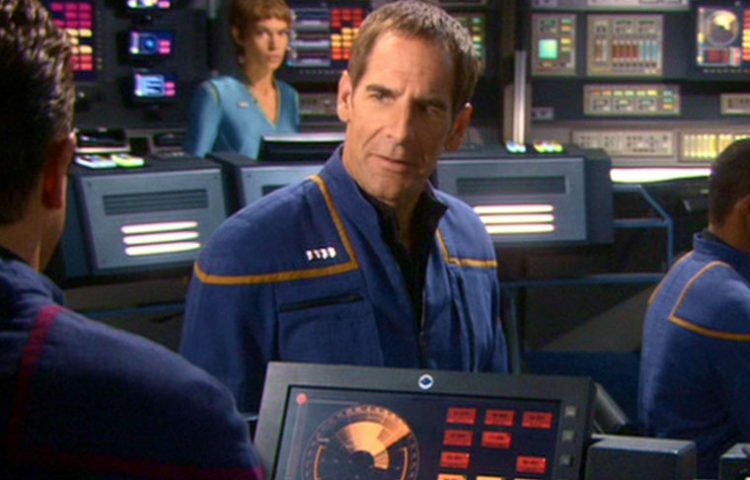 The newly announced set will include all 98 episodes of Star Trek: Enterprise. On the outset, it doesn’t appear as though any new bonus material will be made available on the Compete Series set. However, the season sets (released in 2013 and 2014) came with a bevy of new and previously recorded extra features. We anticipate that the set will be spared across 24 Blu-ray discs and will include English, Danish, Dutch, French, German, Italian, Japanese, Norwegian, Spanish, and Swedish subtitles along with English, French, German, Italian, Japanese, Spanish audio tracks. It’s also safe to assume that the show will be presented in its original 1.85:1 widescreen aspect ratio. We’ve got our hands on the official artwork for the Blu-ray set along with an Amazon pre-order link. Set in the 22nd century, a hundred years before James T. Kirk helmed the famous starship of the same name, Star Trek: Enterprise takes place in an era when interstellar travel is still in its infancy. Captain Jonathan Archer has assembled a crew of brave explorers to chart the galaxy on a revolutionary spacecraft: Enterprise NX-01. As the first human beings to venture into deep space, these pioneers will experience the wonder and mystery of the final frontier as they seek out new life and new civilizations. Stay tuned to TrekNews.net for more information related to Star Trek: Enterprise: The Complete Series on Blu-ray and all upcoming Star Trek home video releases.